James brought us his 2017 Subaru WRX CVT in for a custom tune. Upon first approach we noticed the dark black exhaust tips caused by the vehicle running very rich. We moved forward to putting the vehicle on the dyno to receive some base line power numbers as well as some datalog feedback. The vehicle performed very poorly. Boost spiked up hard and fast however provided less power than factory. Seems the base tune was all boost and no power putting out 188hp and 240tq. Once baselines were completed, we moved forward to custom tuning. Once the tuning session was over, the AMR Performance tune put out 270hp and 330tq. Almost +100hp over the base line. Stable fuel, timing and boost curves give the vehicle a smooth power band while maintaining reliability. 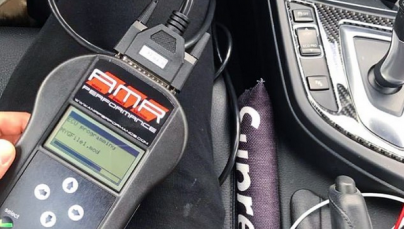 AMR Performance tuned Mercedes-Benz C450 goes 12.2!